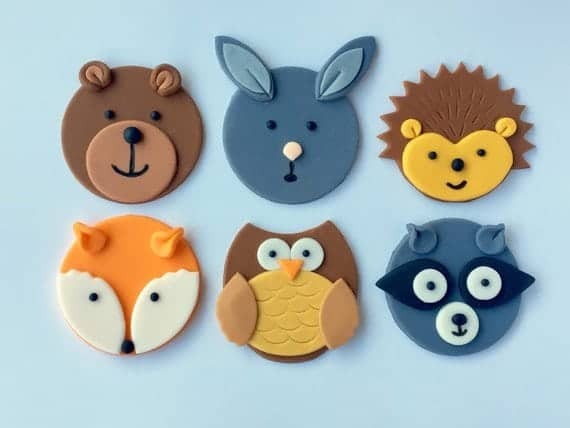 Woodlands Dessert Ideas: Fox Cookies, Bear Cakes and More! 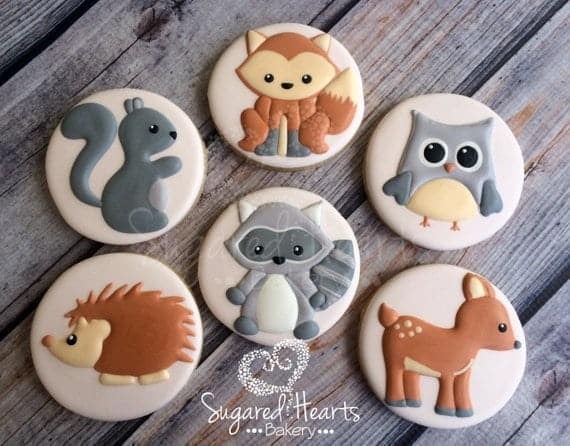 Woodlands Dessert Ideas: Fox Cookies, Bear Cakes and More! 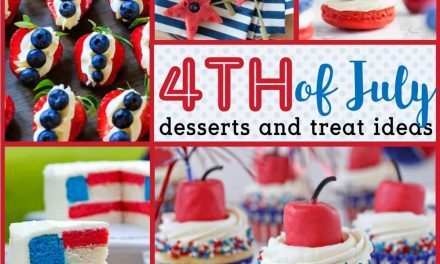 Woodlands desserts and goodies are the icing on the cake of a good Woodlands party. 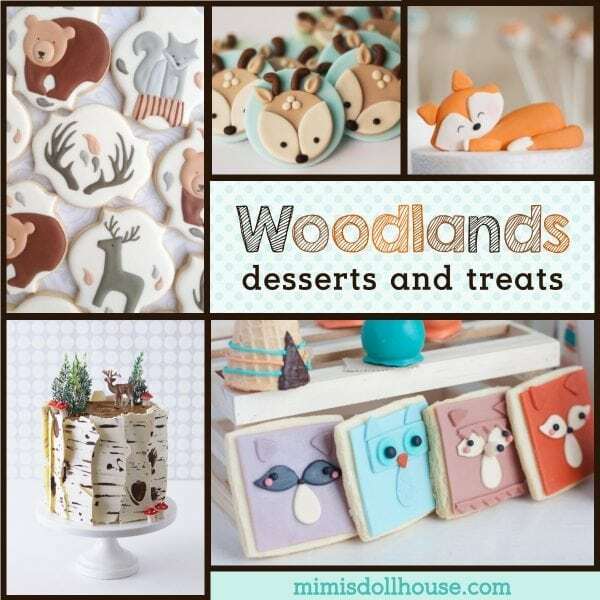 I’m sharing fun ideas for Woodland desserts today. Looking for Fall Party Trends? Check out this Thanksgiving party, these pumpkin party ideas, and these apple party ideas! 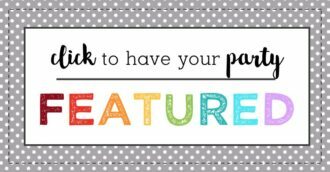 Be sure to all grab some Woodlands party printables. Woodlands Creatures are some of the cutest little things. I love all the party possibilities with forest animals and all the adorable things you can do with naked wood or wood stumps. There is just so much adorableness!!! The best part about a woodlands theme…it doesn’t have to stop with the decorations. 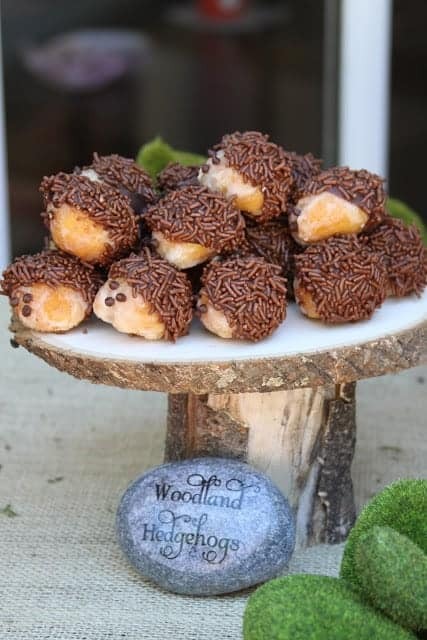 You can make and find some absolutely ADORABLE woodlands desserts. Check out the fantastic possibilities. Throwing a WOODLANDS BABY SHOWER? ☑️ This Woodland Baby Shower Kit is the perfect set to get your party planning headed in the right direction! Looking for a simple cupcake idea? Let’s make some moss cupcakes. I love walking through the forest and looking at all the moss growing on trees. 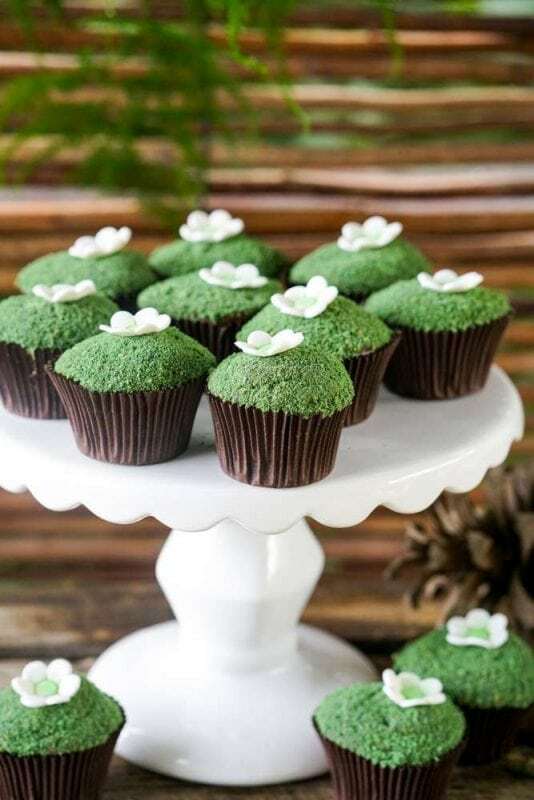 Make some super yummy moss cupcakes like these with green food coloring and crushed up graham crackers. (If you don’t feel like being that DIY, you can also use this gorgeous sprinkle mix!) It’s really that easy! Sometimes all you need to take your party to the next level are some gorgeous fondant cupcake toppers. These toppers are so cute I almost don’t want to eat them…I just want to look at them all day long! Bears, foxes, and raccoons…oh my!!! Here is another woodlands creatures themed cupcake topper option. Aren’t they the cutest! I love how fun and simple they are. These would definitely be a hit with the kids! 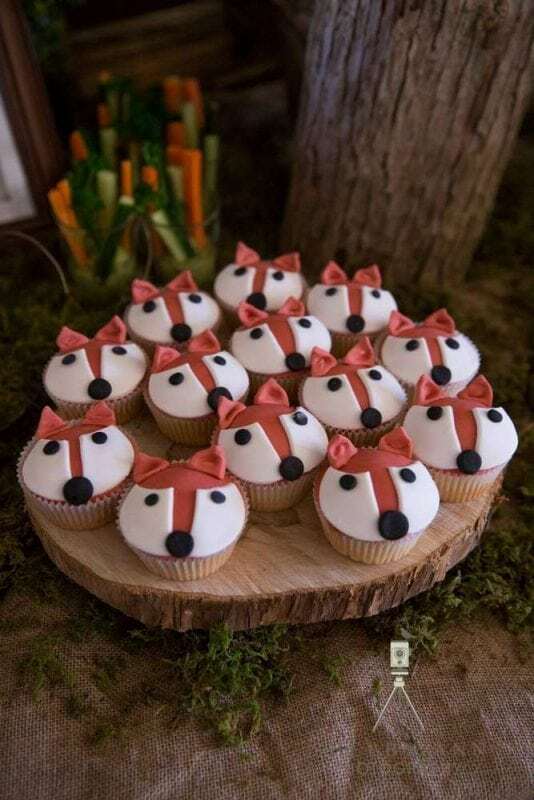 Forget cupcake toppers…turn the entire cupcake into a fox. 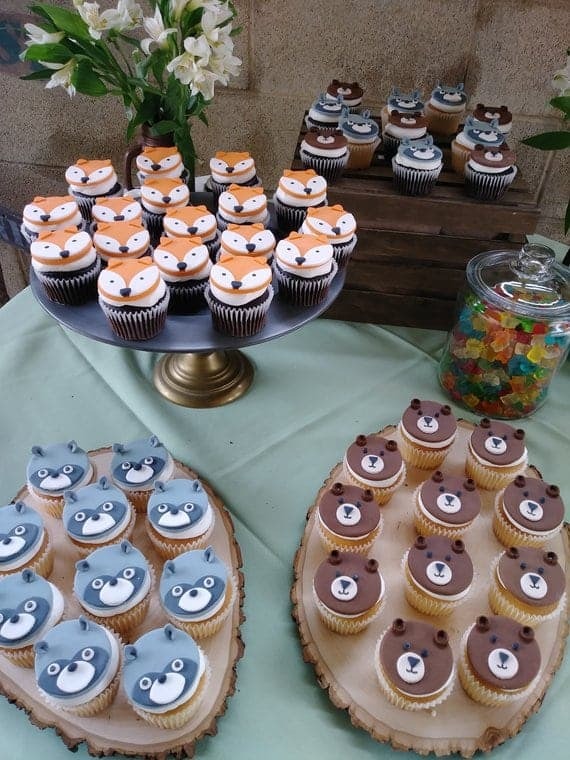 How adorable are these fox cupcakes?? All it takes is a little fondant fun! 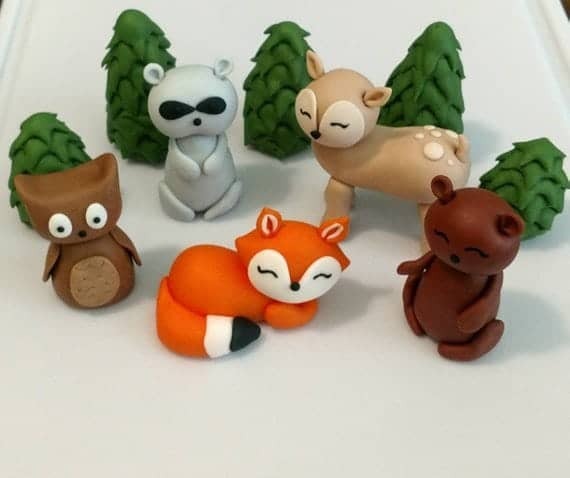 I might be a little obsessed with adorable woodlands creatures cupcake toppers. All the options are just so fun. I love how each set has its own unique feel. These are super cute. I think the raccoon is my favorite! 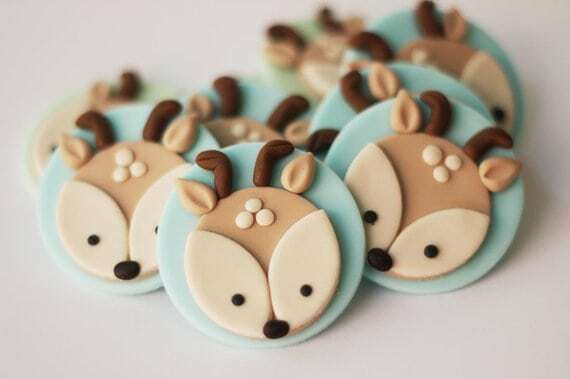 These sweet little deer fondant cupcake toppers are so soft and cute. They would be perfect on iced sugar cookies or white frosted cupcakes. In love!! Want an easy and super yummy treat? Cover some glazed donuts with chocolate candy melts and sprinkles for instantly adorable hedgehogs!!! These are delicious and super easy to make!! 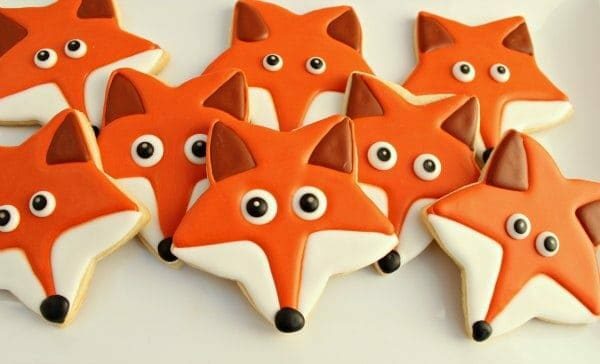 These super fun fox cookies come with an easy tutorial and are made on a star-shaped cookie cutter. Isn’t that awesome?! I love using cookie cutters that have nothing to do with the finished creation. It’s so much fun!! These cookies are beautiful. They might be my favorite things ever right now. I love the colors and the shape and how modern they are. These would be perfect for a baby shower or a little one’s first birthday party. 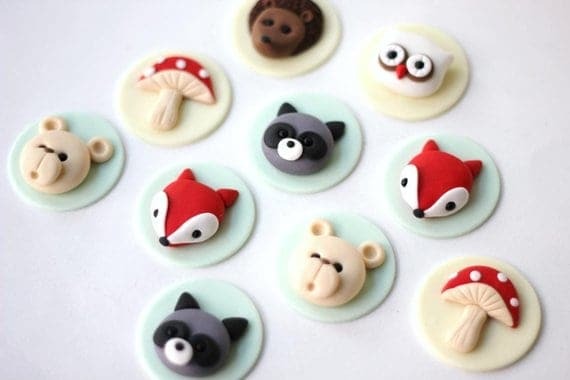 This is a super simple, yet adorably delicious DIY woodland creatures dessert idea. Why not mix in some food that isn’t sugary sweet? 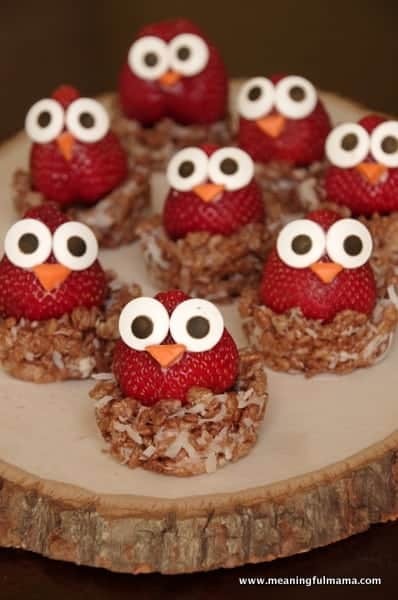 These little owl strawberries would definitely be adorable for a woodland party spread. These little critter cookies are so stinking cute. I love custom decorated cookies…they make my heart happy! 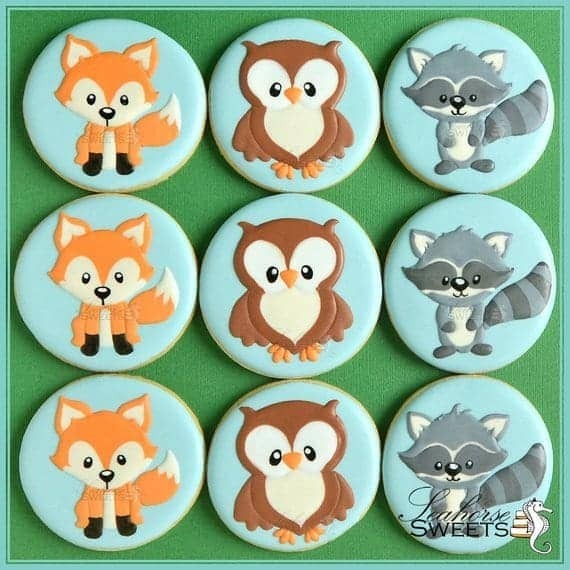 These little foxes and raccoons and owls are just so adorable. They would definitely be a great addition to any woodlands party table. 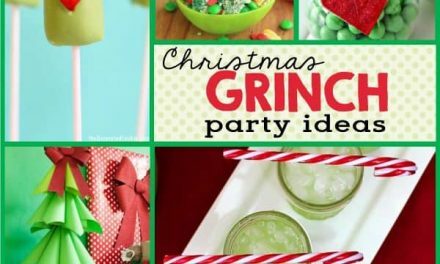 Looking for a super easy DIY for your woodlands party? 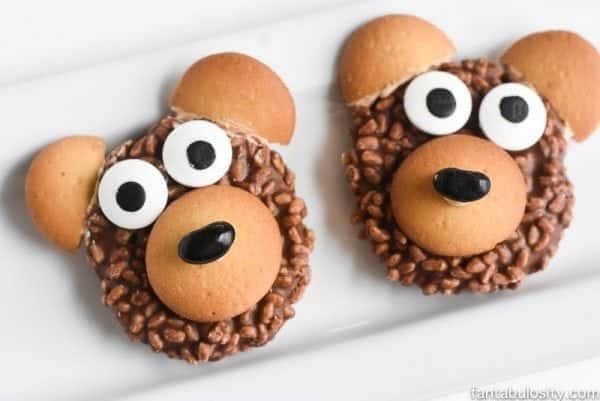 These little bears are made from simple ingredients like black jelly beans, candy eyes, Nilla Wafers and Little Debbie Star Crunch Cookies. 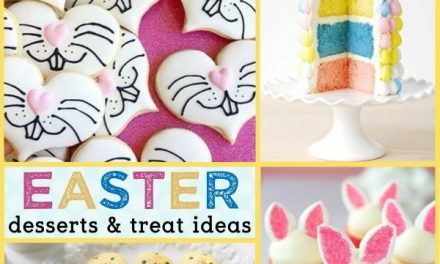 Easy peasy, yummy and soooo adorable!! These are definitely a favorite!! Umm…hello cuteness! 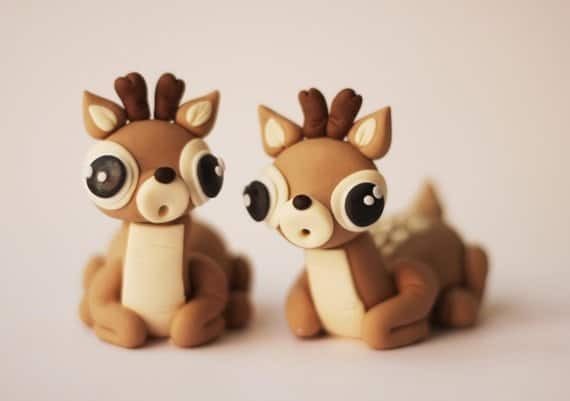 These 3-D fondant deer are SOOOO cute. I love the giant eyes! These would be adorable as a cake topper or on little cupcakes or minit cakes for a woodlands baby shower or a woodlands birthday party. The hedgehog…I mean, c’mon son. These are soooo adorable. I love the grays for a woodlands party. Gray is such a wonderful neutral. It’s perfect for both girl and boy parties and would be great for fall or winter. Isn’t this cake gorgeous? I LOVE the idea of a woodlands theme for a girl party. While woodlands might traditionally be thought of as masculine…this sweet girly cake shows you how well the forest critters mix with soft pinks as well. Our woodlands printables are also available in pink! 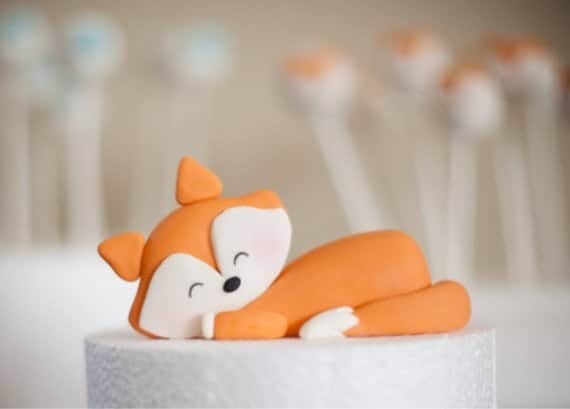 This sleeping fox is the perfect cake topper. It’s so sweet and well made. I love the idea of a sneaky little fox for a party centerpiece, don’t you? If you are looking to throw a fox themed party, I have adorable fox printables available in the shop. This chocolate birch bark cake is EVERYTHING. I love the idea of this cake. It would be so adorable for a woodlands party or for a fall party get together! Looking for a fun and simple DIY cake? This little hedgehog cake is so adorable. It would be perfect for a little kid’s party. I know your little one would love to eat this!! Need some fun little fondant cake toppers? These sweet little forest animals will certainly not disappoint. I love the little trees that go with them too. 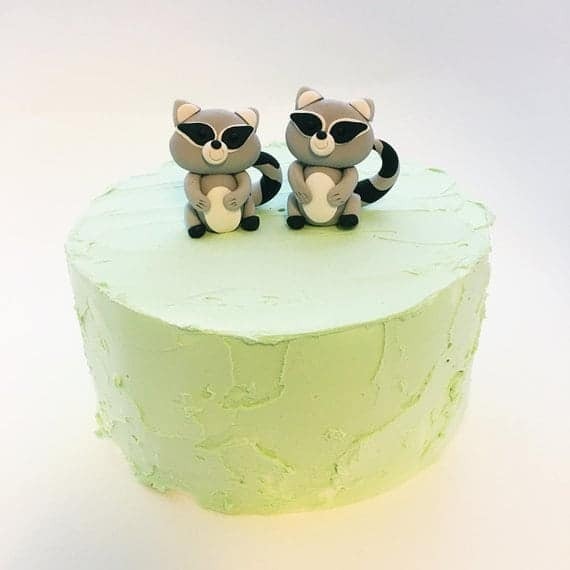 Let’s have fun with some little fondant raccoons. These little laughing guys are mischievous and fun…just like my old year old. 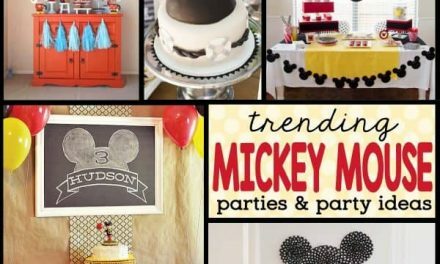 This is great for a little guy’s party! Hope you love all these ideas and get inspired to throw a Woodlands party with these Woodlands Desert Ideas. Be sure to all grab some Woodlands party printables to help you get your Woodlands party ideas going! Looking for Fall Party Trends? Wanna throw a woodlands party? Love sweet treats and baking. Will definitely be checking some of theses and purchasing some for my next bake. Wow! These look amazing! What great ideas for a fall woodlands party. 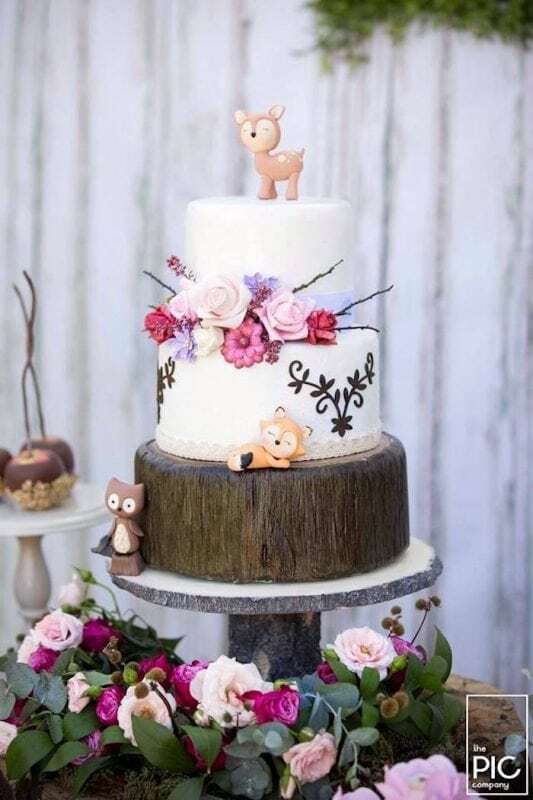 I love the woodland theme, and those fondant cake toppers are to die for!! So cute! Love all of them and want to order..my favorites are the owl ones and the deer. Oh my goodness, they are SO beautiful!! My six year old was asking about creatures just like these for her birthday, I’ll have to tell her I found just the ones for her!!! 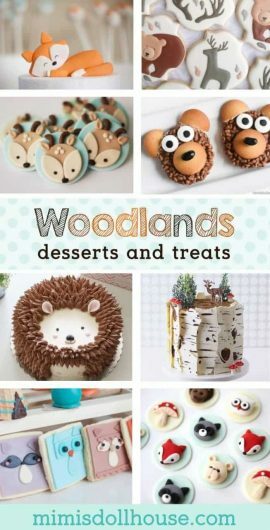 Ok this has to be the CUTEST collection of woodland ideas I have ever come across!!! 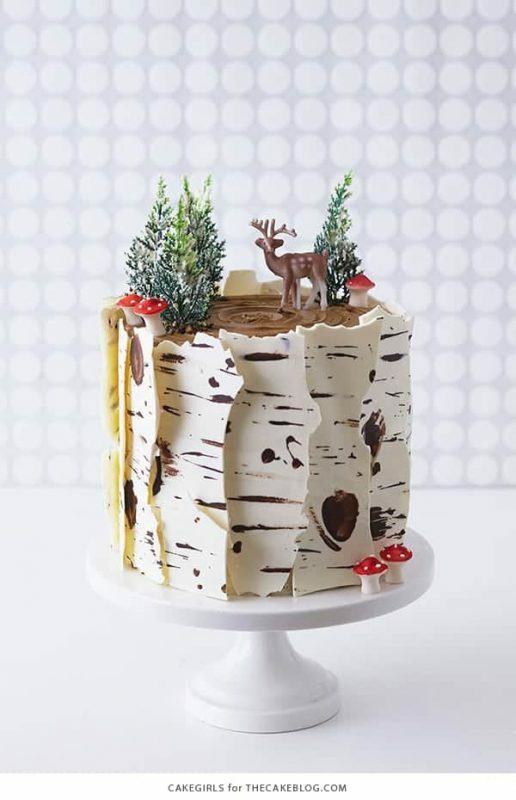 I love the Birch Cake…thinking I might try my hand at it for our Christmas Party this year!!! Legit the cutest cookies on the face of the whole damn earth!!!! Holy crap! I am so so so so so impressed! I want them ALL – but I wouldn’t eat them, I would seal them and then frame them for display LOL! Those little fondant cupcakes are adorable but I hear it’s so hard to do! omg these are too cute! 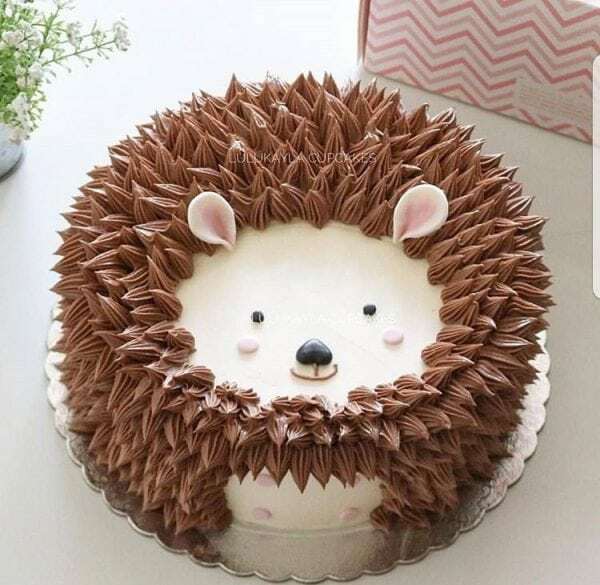 I love the hedgehog cake! Sooooo cute! We did a Two Wild woodland party last year! Love it! Those hedgehog ones with the sprinkles are the cutest things I’ve ever seen! Thank you for sharing! OH WOW!!! These look amazing and I’m sure they taste just as good as they look. These would be perfect for any shower or birthday party. Love it! Thanks for sharing! WOW! 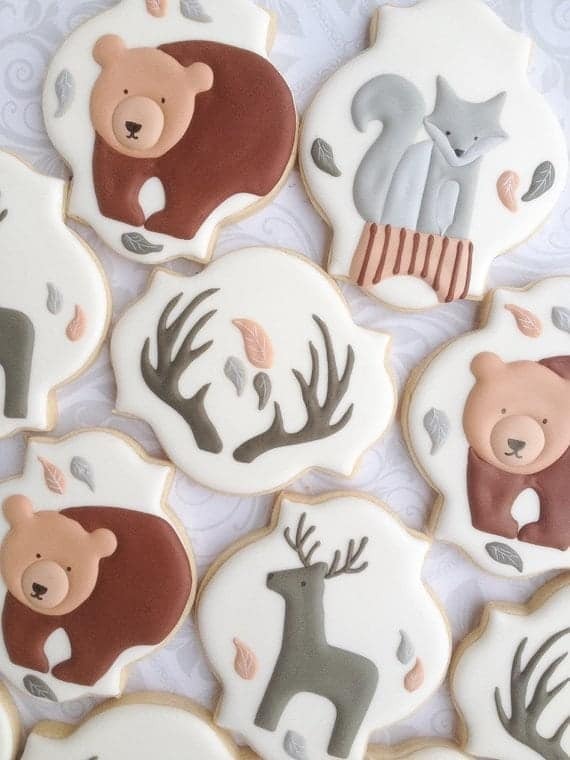 I just LOVE this idea and so many adorable woodland creatures to choose from – I’m salivating just looking at all of them including those beautiful cakes. I’ve just pinned everything on this page, FYI. :D Will definitely try this for a winter Xmas party or fall birthday party. Can not thank you enough for sharing this fantastic idea. Thank You! I probably wouldn’t eat these.. because they are so darn cute!! I love these ideas! All of the little animals are so sweet, perfect for a party! Oh my goodness these were all so adorable! They look way to perfect to eat but I bet they are so yummy!